...is nothin' but a diary! It's true. Blogs need cats to write 'em but they also need cats to read 'em. Well... cats or dogs or bunnies or even peeps. But someone has to read 'em. Someone has to 'cause like I said, a blog without readers is nothin' but a diary. I love my readers. Yup, it's true. I love each and every one of them. I even love Mr. Anonymous Spam. I figure somebody has to love Spammy 'cause he must be ever-so-lonely, out there all by himself with nothin' better to do than spam us kitties. Sendin' some love to the ol' spammer is a little bit like charity work but like I said, somebody has gotta do it and I'm up for the challenge. MOUSES! Anywho... in honour of all my fantastically wonderful and special readers, Ol' Peepers promised to make me up a new award to introduce to the blogosphere once Nerissa's Life reached 75,000 hits. That was a couple thousand hits ago so it's high time I introduce that award. Don't you agree? Of course you do! So now it's time for me to get with the program and introduce the brand new FRIENDS & FOLLOWERS award. Isn't it pretty? And this is a super-duper, easy as peasy award to accept. Just four things to do. That's it. Firstly, you need to post the award on your blog. Secondly, you need to thank the blogger givin' it to you and, if you don't already, follow them. You can follow by e-mail or feed or a reader or any other method available. That even includes just checkin' in with them every day or so if they don't have any kind of followin' method set up. 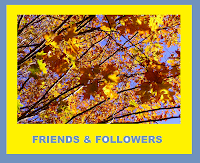 Thirdly, you need to pass along the FRIENDS & FOLLOWERS award to a few readers whom you know already follow you. To figure this out, I just went through my comments and picked out a paw full, or two... or four. And fourthly - which is also lastly - you need to let 'em know. Let the bloggers to whom you've given the award know you did so. Didn't I say this would be easy? Would I ever lie? NEVER. Easy peasy, for sure. Okay... that's twenty of you. Surely this should get the FRIENDS & FOLLOWERS award zoomin' around the blogosphere in no time. Just kidding! It's just a little message from me. A message and an apology. In the last couple of months, I was given two awards. Tex, from Texas, a Cat in NY kindly gave me the Dragon's Loyalty Award and everyone at Life with Ragdolls and Speedy over at Speedy the Cheeky House Bunny gave me the Sunshine Award. I have not yet officially accepted these awards and for that, I owe you all an apology. I haven't forgotten you. HONESTLY, I haven't. I will accept these beautiful awards officially and hopefully, sooner rather than later. I had fully intended to accept these awards along with the introduction of the FRIENDS & FOLLOWERS award however the post was already gettin' a little long and those awards both require me to write stuff about myself or answer questions or both. I just thought I'd give my readers a bit of a break from the novels I've been postin', as of late. I do hope you'll understand. Really, I do. Wow, concats to all of the winners! I love your blog and you you brighten my day even on the worst of the worst days. I even fellow you on facebook for the much needed ray of sunshine I need very day. Thank you for being you your a huge blessing. Sometimes my lonely ol' blog feels way more like a diary than a blog. But then, I supposed popularity is a double edged sword? I try to read your blog but often it is too long for me to read. I can only read a little bit before every thing gets blurry!!! I am losing my sight!!! I would love to be able to read every word---but i can not see every word sorry!! That is such nice award and all those kitties that got it are so lucky. 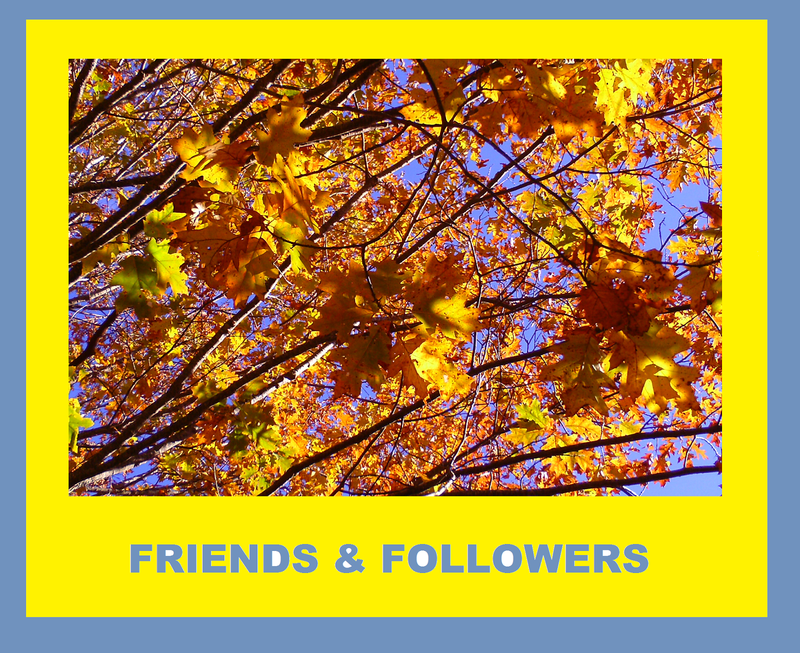 We do like reading your blog and that is true, we all need followers. Great post. Have a great Sunday. Thanks for coming by and thanks for my award! You're a GREAT friend Nissy! Paws up for the accomplishment your new award symbolizes and thanks so much for passing it along to me and so many other awesome kitties!! Hahaha!! You make me MOL, Nissy. You love Mr Spammer!! MOL Me too. He is very inventive in a boring sort of way!! You are so cute. Asking Santa for catnip or fancy feast flaked tuna ? Great award Nissy! It is nice to have lots of visitors. Such a beautiful award Nissa - Thank you for sending it to me. I'll get it passed on right away. Sorry for being so lax in the past. My human's back is a mess and sometimes she just can't sit another minute. Congrats on your awards and how fun that you made your own award! I hope you found some of these sun puddles today. Here, it snowed all day so no sun to be had. Awww Nissy! Thank you so furry much! You always create such wonderful awards!! Thank you so much! Thank you so much my furriend for thinking about me always. I really appreciate. Do you really love Mr Spammer ?! Wonderful new award you have come up with , Nissy ! That is a lovely new award you have created Nissy. Concats to all the recipients. Well congrats to all the lucky award winners!!!!! Great post and pretty pics!! Love it! That's a cool award, Nissy! Congrats to the winners. And we love all our readers too...after all, if our readers weren't reading...we probably wouldn't be blogging anymore. I love reading your blog. I even share it in my weekly meeting with my kitty friends along the river in Singapore. Oh yea...thanks for the award buddy! Dood! Have you been busy or WHAT? We can totally unnerstand. it's a full time job keeping your peepers on the, uh, well Peepers. Concats on everyone who won the award! You mean...you can CREATE an award and give it out?!?!???!!!!! Thanks, Buddy! It's quite an honor to be in on the ground floor of a new award (so, are there stock options involved? No? oh well, never mind). I am thrilled to receive it and I will MAKE the Human post it very soon! You're the best, Nerissa! What a wonderful award! Congrats to all the kitties and paws out there that won! Well done to all. Have a marvellous Monday. Nissy! First of all thank you for another beautiful NEW award.....I love it - just as I have all the awards you've created and sent on their way around the blogosphere. Secondly, I am SO surprised you haven't sent that letter out to Santa Paws yet because he's coming SOON! May I suggest you do what I did and create a google map for him of your house so even if he didn't get your letter in time he feels obligated to stop anyway????? You know - just to be on the safe side???? A brilliant new award. and given to some amazing people! Great Award and a wonderful sentiment as what are we without our dear furends who slog through snow and ice to... err... who brave tired paws and spraind toes pressing the mousie to come to our blogs. Thank you for nominating Cinco as one of the first ever recipients of this award! He is so excited (his sister Manna is sort of jealous, but that just makes it even better to Cinco)! As the official keyboard expert of Playful Kitty, I will add this to the line up and make sure Cinco officially accepts it within the next week or two. Thanks again! You come up with the best awards! Coincats on that! This is just wonderful! Thank you so much for thinking of us Nissy! Congrats to you! Hi! Thanks for asking about my mousie. He was originally on the end of a wand toy from The Natural Pet Company. Unfortunately, we're a bit rough I guess and he came off the wand. He's still fun to play with. ConCATS on 75,000 hits, Nissy! And what a terrific award. Hooray for all the winners! Thanks so much for your efforts and good wishes for Lilly. Because of you, she has her $600! We are so happy and grateful! Wow, 75k hits? Amazing! Concats, Nissy.